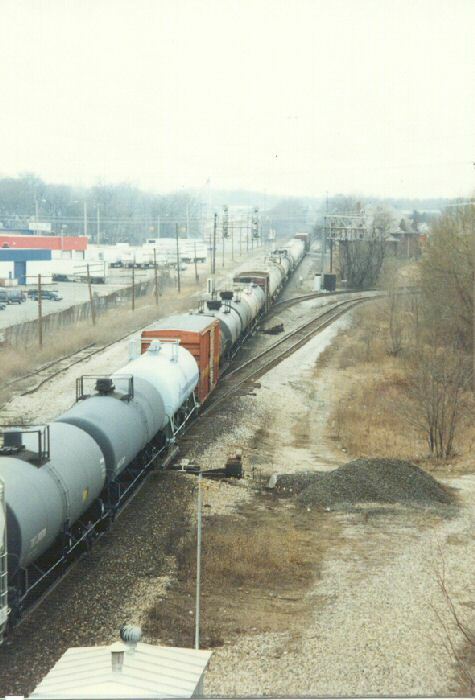 Page 1 - On a Saturday in March 1996 I took a trip to Battle Creek to check out the rail scene. Note that the pics below are scans of 35mm prints so the resolution is fairly low. The Battle Creek Transportation Center, which sees Amtrak trains 7 days a week. 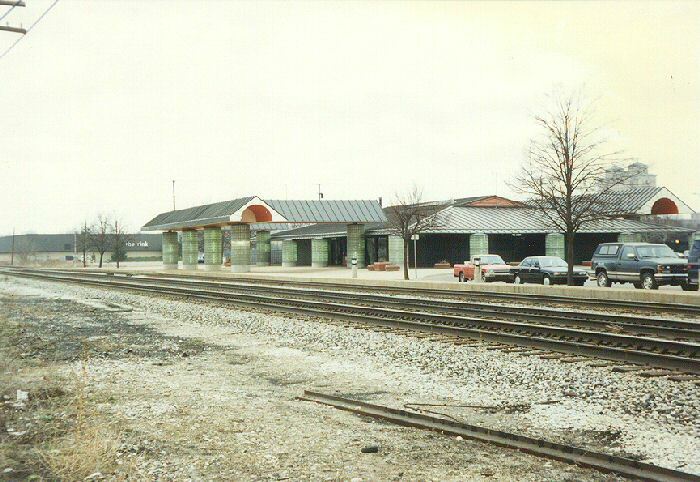 This is on the Grand Trunk line and replaced the old NYC passenger depot, allowing the double track line through downtown Battle Creek to be ripped out. The ex-NYC depot is now a restaurant, Clara's. 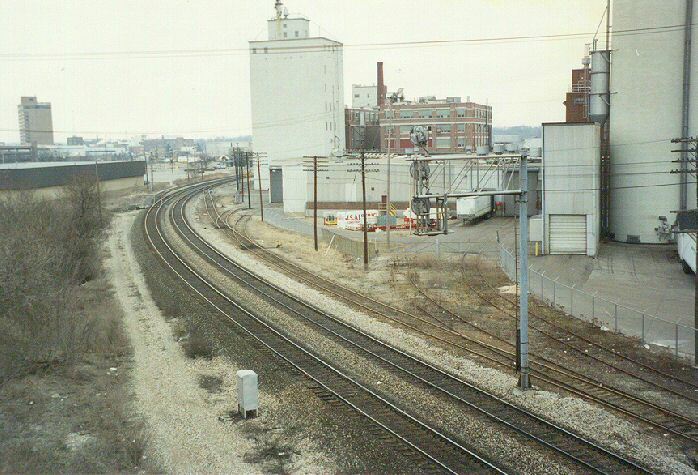 Looking East from from the Washington Ave bridge, which is just west of the Transportation Center. These spurs into the Ralston Foods plant appear to be disused but there is one spur on the other side of the plant that is regularly used. Looking the other way (west) we can see the Conrail lines coming in from Kalamazoo on the right and the CTC signalling. 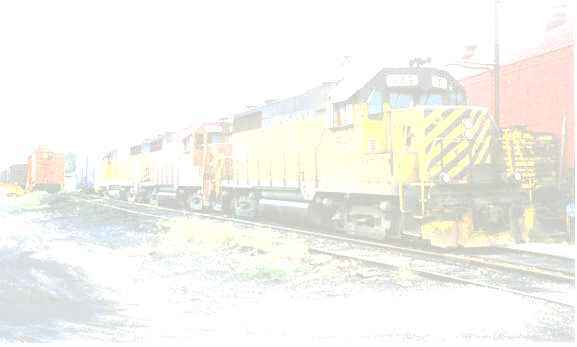 A CN manifest train heads east. An Amtrak Wolverine comes off the Conrail line mid-morning onto CN/Grand Trunk. 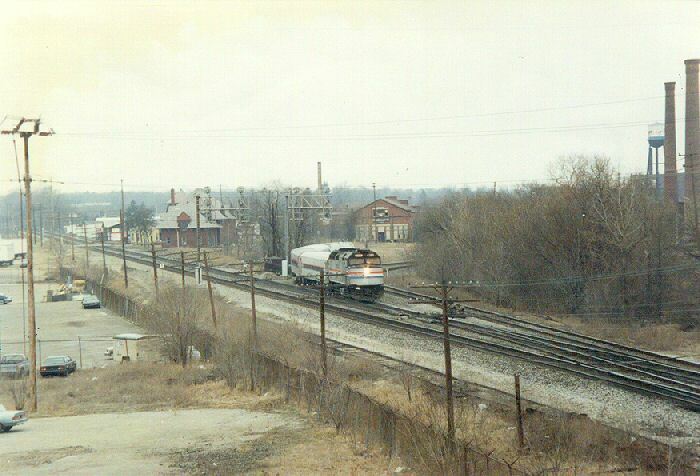 This train, pulled by an F40, is heading for Detroit and Pontiac. 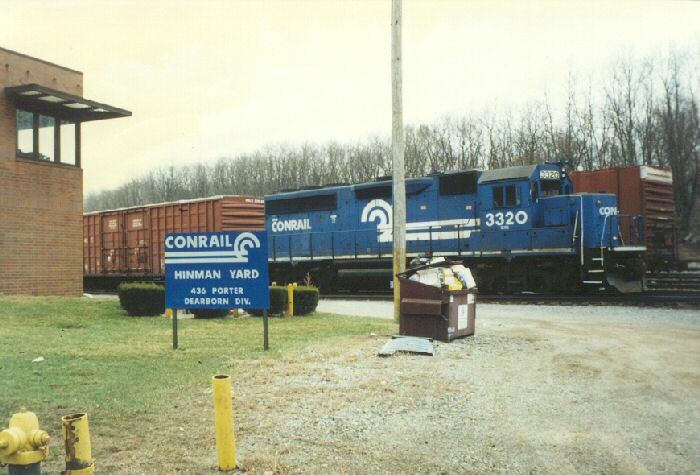 The Conrail base in Battle Creek is Hinman Yard on Porter. Here we have the resident local switcher #3320. 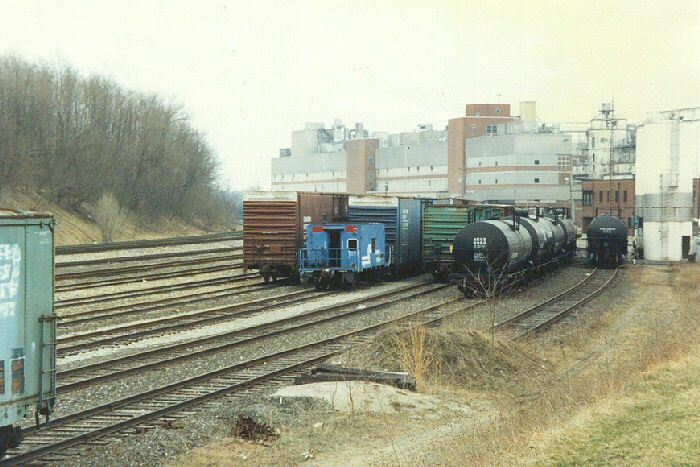 Looking from the south at Hinman Yard with a Kellogg manufacturing plant in the background.